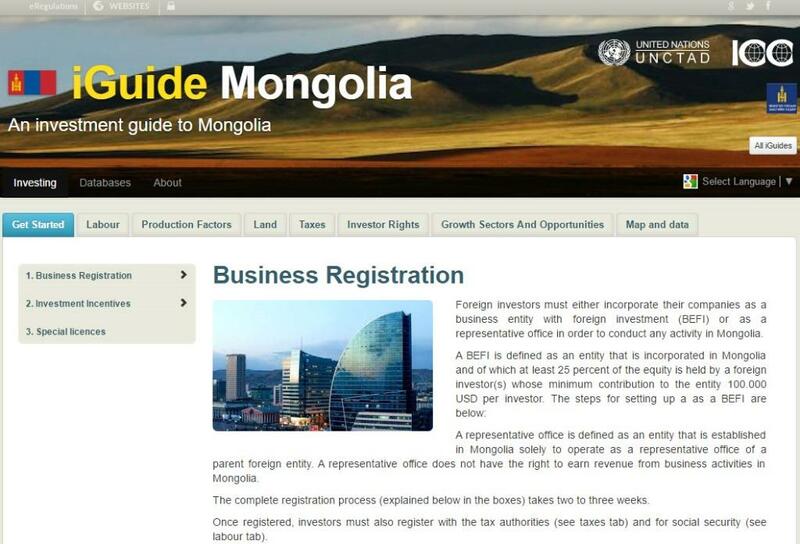 An online guide to investing in Mongolia was launched by UNCTAD and the Invest Mongolia Agency of Mongolia on May 31. The i-Guides platform www.theiguides.org/mongolia provides online with updated and hard-to-find information on operating costs, wages, rents and taxes that can be inserted into an investor’s business model, as well as laws, special permissions, procedures and useful contacts to investors. The experiences of the current investors in Mongolia are also included.